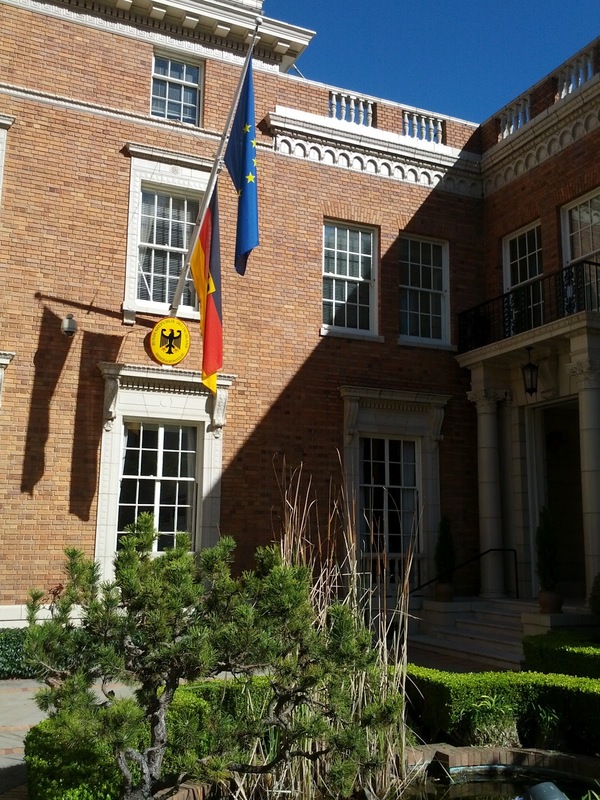 The German Consulate General in San Francisco is located on 1960 Jackson St. in San Francisco. The building is adorned in very nice brick, and the grounds are kept meticulously. The atmosphere is friendly. The people are really nice and helpful. It's always a pleasure to come here for official business, be it citizenship issues, or getting a new passport, and today was no different. Add to that perfect weather, blue skies and sunshine, and you get a nice road trip.